I’ve been somewhat less than diligent in my checking of Brickshelf lately, so I count myself very fortunate I caught the Eurobricks thread for this wonderful train station. 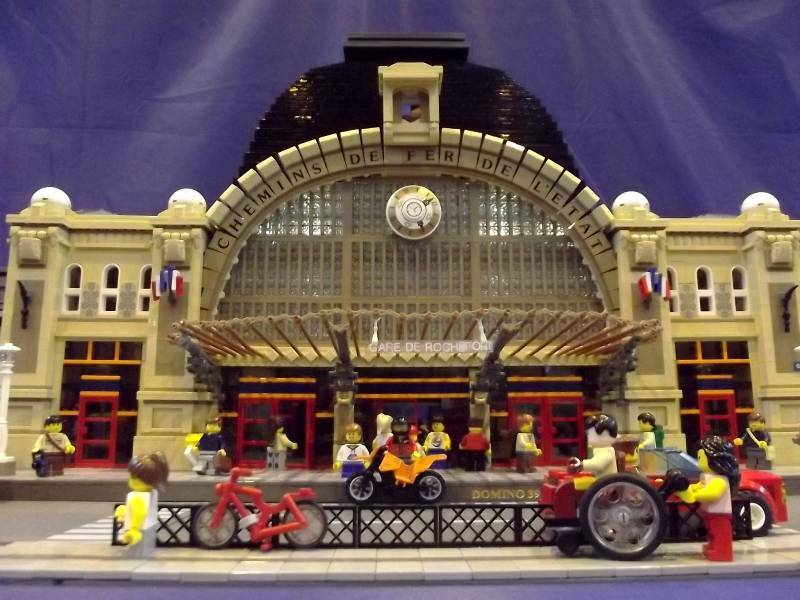 Unlike art deco, which is lends itself nicely to LEGO bricks, the art nouveau style of Rochefort’s main station is quite a challenge to represent in LEGO. But Domino39 has pulled it off with aplomb. Beautiful work. See especially the droid hands making up the front canopy. Phenomenal build. So much detail and NPU.